Our certification consists of a 2-day class. 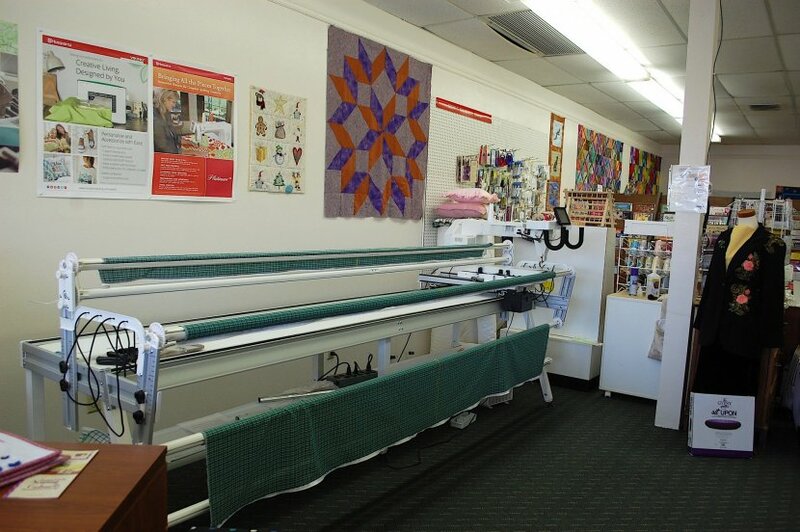 During the first day a 3-hour class will cover basic operation of a Husqvarna Viking Platinum 3000 Long Arm Quilting machine followed by a completion of a project on the second day to practice and solidify information learned. Please note certification class is not a class designed to learn how to free motion quilt, this class strictly focuses on machine operation, computer controls, and maintenance. Cost of certification for 2 days is $45 per person. We require a minimum of 2 students for class to take place. Students are encouraged to purchase special quilter zippers to create leaders that help attach ready quilt top, batting and backing to the quilting frame. Made in advance leaders with zippers help to speed up your setup time, which means you will have more time to quilt! 2. forfeit, if no show. - Time starts at reserved time, or when loading machine. - Use Signature thread until an experienced user - other threads must be approved by staff. Please call us for more information 210-656-6700.